Looking for indoor birthday party options around Metro Vancouver? We’ve got you covered! 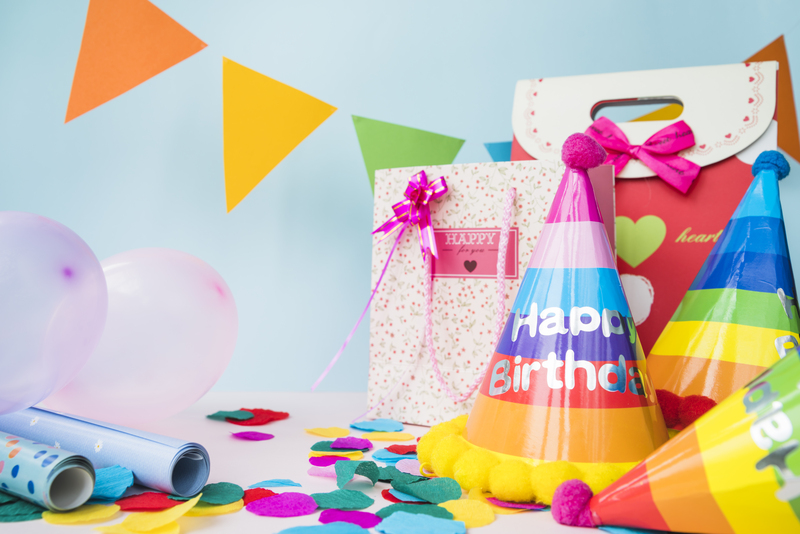 Luckily for all of us, Metro Vancouver is full of great indoor birthday party options for busy parents who are trying to host healthy, active, educational, FUN birthday parties for kids in our less than dependable weather! Check out our Metro Vancouver Indoor Birthday Party Guide below for this year’s top picks, including Bricks 4 Kidz, 6Pack Indoor Beach, Lights Up Musical Theatre Parties, Clever Cupcakes, Climb Base5, BrainSTEM Learning, Maplewood Farm and Treehaus Teahaus. And be sure to visit our Facebook page between October 18th and November 1st, 2018 to enter to win your choice of birthday party package from this guide! Party Location(s): Bricks 4 Kidz Vancouver is a mobile business that hosts parties anywhere in Vancouver, Richmond, Burnaby and New West. All you need is a space that’s big enough space to build their LEGO® models: your home, amenities room, or community centre room! 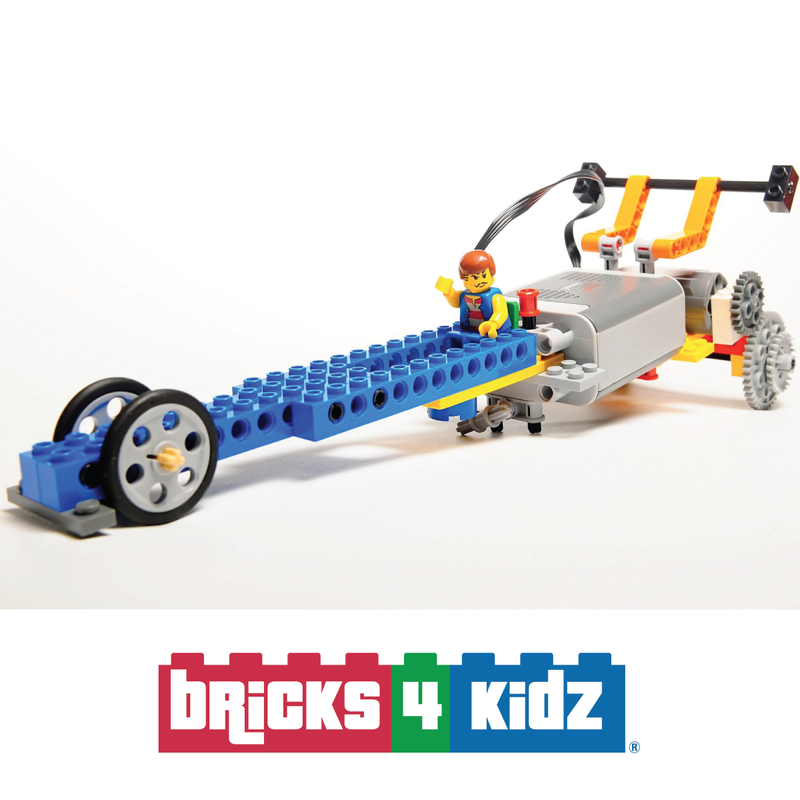 Why They’re Awesome: Bricks 4 Kidz uses motorised LEGO® bricks to provide the ultimate entertainment while fostering creativity, teamwork & fine-motor skills. They work with parents to decide on a flexible & customised option for the big day! You can also add on loot bags and t-shirts. What’s Included: Deluxe party package includes 60 minutes of jam-packed LEGO® fun led by a Bricks 4 Kidz Party Host, a motorized LEGO® model build with games & challenges, t-shirt for the birthday child for their friends to sign, and choice of PDF birthday party themed invitations. Pricing: Deluxe party package starts at $200 for up to 10 kids, additional kids $8 each & add-ons available. Facebook Prize: Deluxe Party Package for up to 10 kids, incl. 60 minutes LEGO® party with Bricks 4 Kidz Party Host, invitations & T-shirt for birthday child ($200 value). Why They’re Awesome: Do your kids miss playing at the beach during our long rainy seasons? 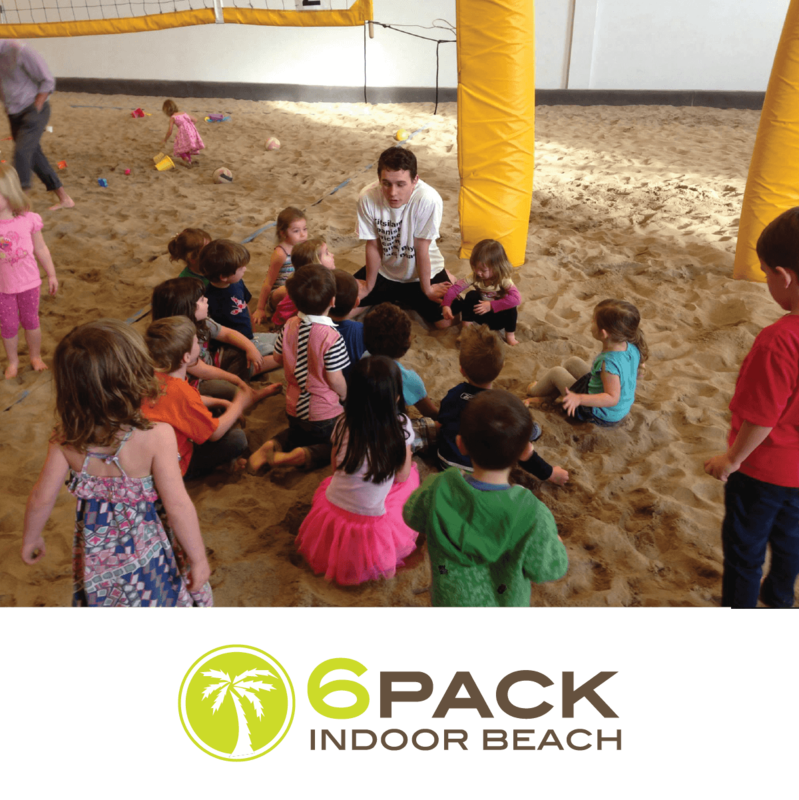 6Pack Indoor Beach has you covered for birthday parties with non-stop indoor fun! At their 18K sq. ft. indoor facility in Richmond, you can choose between a beach party (with 2600 sq ft of real sand!) (for ages 1-18) or an archery tag party (for ages 12-18). And you can customize your party with an optional counsellor for coordinated activities, table settings, balloons, invitations, and even inflatable bouncers! What’s Included: Beach parties for up to 12 kids are 2 hrs (with 2 reserved tables for the duration of the party), including 1 hr 30 mins of free play fun & games on the beach court (sand toys, nets, balls & sports equipment provided). Starting October 1st, 2018, no outside food is allowed for parties, except for birthday cakes or cupcakes. An on-site cafe is now available for all food & drink options! Pricing: Starts at $168 for up to 8 kids, and $208 for up to 12 kids. Connect: Facebook; Twitter; Instagram; Pinterest; YouTube. Facebook Prize: Beach birthday party for up to 12 kids with a coordinator ($282 value). 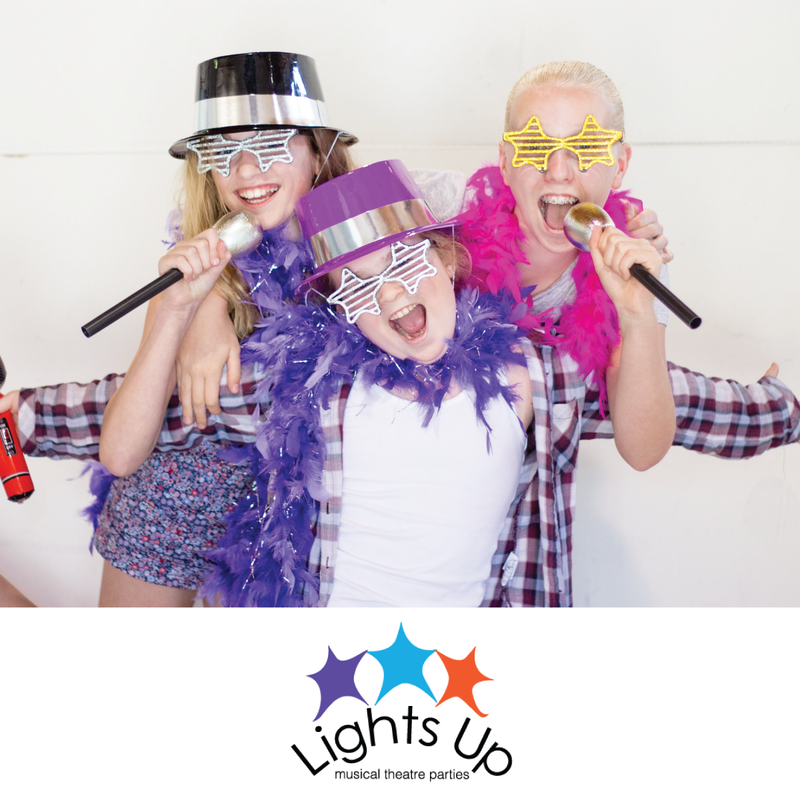 Party Location(s): Lights Up hosts parties anywhere in Vancouver, North Vancouver, West Vancouver, Squamish, Burnaby, New Westminster, Port Moody & Coquitlam (with a travel fee of $50 + GST for any other areas in the Lower Mainland). All you need is a large space in your home, rented space at a rec centre or another venue! Why They’re Awesome: Lights Up Musical Theatre Parties teach themed musical theatre games and activities, and end with an exciting performance complete with props and costumes! Themes include Whodunnit?, PopStar Academy, 5/6/7/8 Broadway, Princess, Superhero Saves the Day, Under the Sea Adventures, Pirate Party Plunder, Fairy Friends to the Rescue and Spy School. What’s Included: A party host in costume leads children through games, dancing and acting, all in the style of the chosen theme. Kids will have a great time getting into character, putting on costume pieces and practising for their big performance for parents after a quick break for food or cake! Pricing: Price ranges from $200 – $300 for up to 15 children depending on ages and length of the party. Party Location(s): NOW 2 LOCATIONS!! 98 Brigantine Drive in Coquitlam AND #2-1485 Welch Street in North Vancouver. Why They’re Awesome: Climb Base5 has been a long time fixture, and promoter of the Metro Vancouver Climbing community. Since 2002 they’ve been the indoor climber’s premiere choice for long steep lead routes and amazing bouldering. Their mission is to deliver quality programs for beginners to advanced climbers and provide a uniquely creative climbing experience. 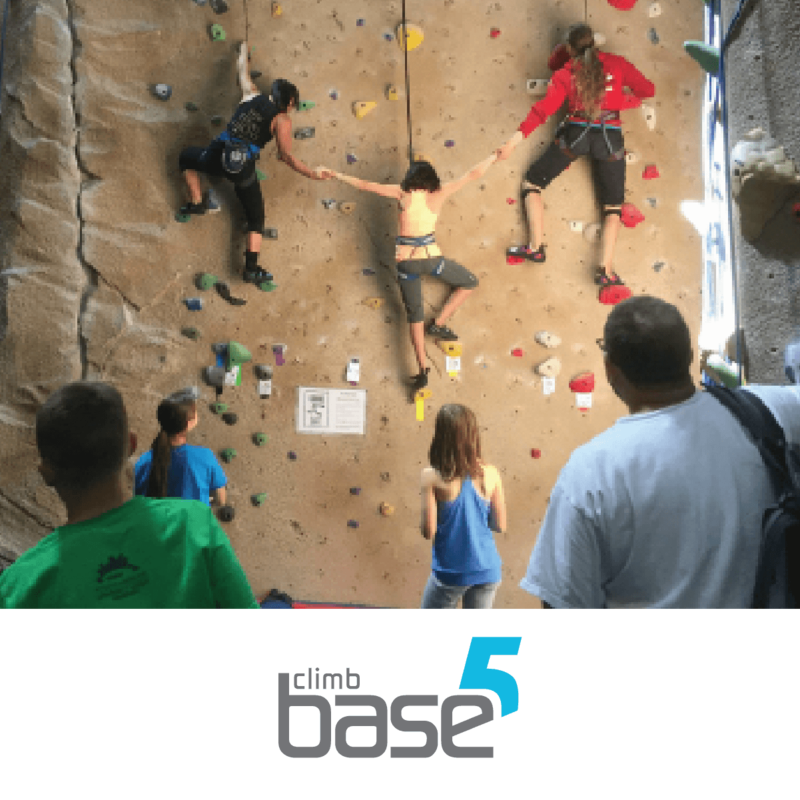 With custom courses and programs for kids, groups and adults, Climb Base5 is committed to educating, inspiring and connecting people to have a healthy lifestyle. Their friendly & enthusiastic staff are always ready to make birthday parties ROCK! They manage the ropes & provide movement coaching while you take your party to the next level. What’s Included: 1.5 hours of climbing, all required equipment, experienced staff at a 4:1 ratio, and 1 hour in party room for presents, snacks & cake. Pizza & 1 juice box per child are included with party booking, and cakes may be brought in by parents or arranged through Climb Base5 for an extra fee. Why They’re Awesome: BrainSTEM Learning Canada offers great options for your child’s birthday parties, where the kids have a lot of fun and learn about STEM (Science, Technology, Engineering and Math). 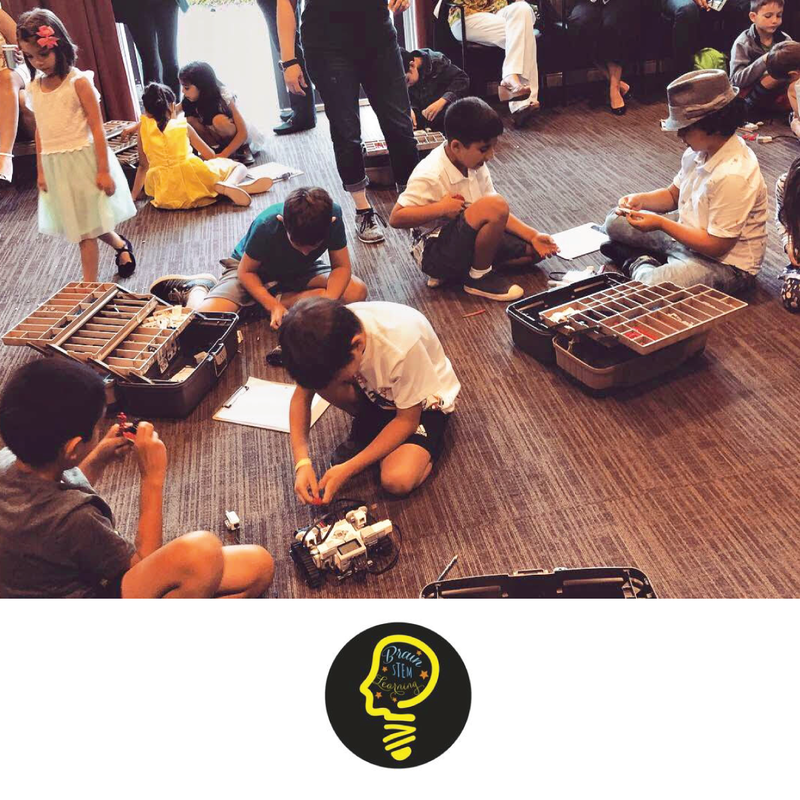 Through fun birthday party activities using rockets, roller-coasters & robots, kids always use their creativity, curiosity, and learning concepts to face amusing challenges. Using team work and the engineering design process, kids have a blast building, testing and improving their projects! Connect: Facebook; Twitter; Instagram; Pinterest. Why They’re Awesome: The Clever Cupcakes is a peanut & nut free facility! Kids love to pretend to be chefs an now they can do it in a real bakery setting for their birthday party celebration! Their Clever Cupcakes are made with all natural ingredients and with 50% less sugar than typical cupcakes. They also bake delicious cupcakes for people with allergies (gluten, dairy, egg, sugar free, vegan…). So much fun for little bakers! What’s Included: 2-hour birthday party, a paper chef hat for each child to keep, a mini tour of the bakery, a cupcake box for each child to decorate & take as a goody bag, a mini lesson in how to ice & make fondant, time to decorate 2 cupcakes, and tea party time to enjoy one of their creations with juice. Pricing: $20 per child. Min 5 children, Max 15. Why They’re Awesome: Maplewood Farm offers a unique and enjoyable time for all ages in a rural heritage setting on 5 acres in North Vancouver, with a wonderful collection of over 200 domestic and friendly farm animals and birds. Families can host outdoor birthday parties at the farm year round using the covered picnic table area for the cost of general admission per guest, or their new bright, reservable party room provides a fantastic indoor option for rainy season birthday! 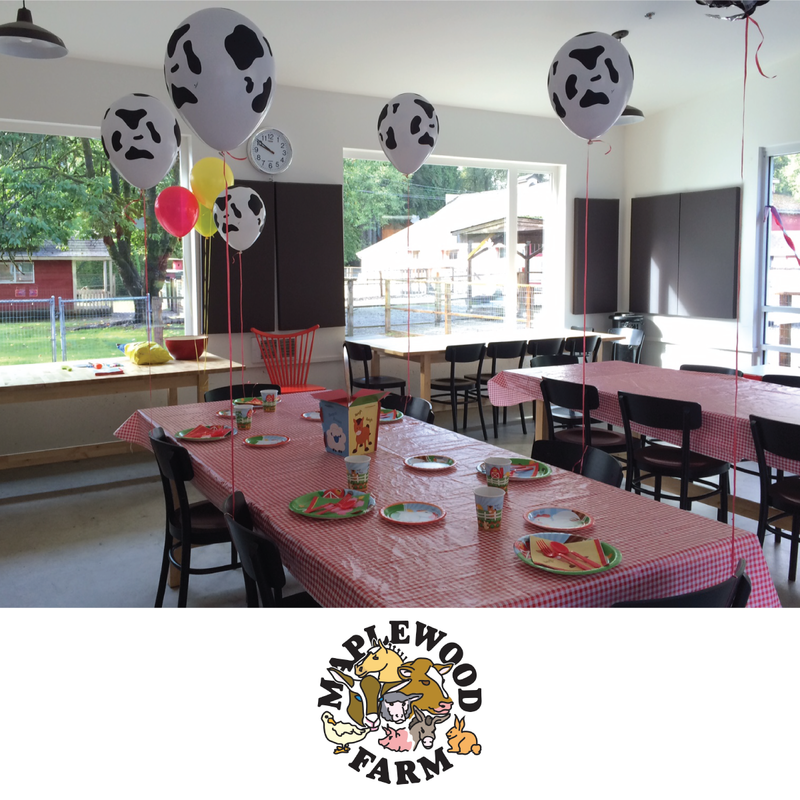 What’s Included: All indoor birthday parties include farm admission for 8 children & 8 adults, scenic views of farm animals from their bright, new party room, tables & chairs, fridge & microwave, stress-free clean up, and 8 bags of birdseed. Optional add-ons include a barnyard theme with goody bags, balloons, cutlery, plates, cups, napkins, cake candles & tablecloth, food (pizzas from Panago), endless regular potato chips, apple juice & bottled water. Please allow 2 months notice for a party booking! Pricing: Bronze Package starts at $227 (including tax) for up to 8 children. 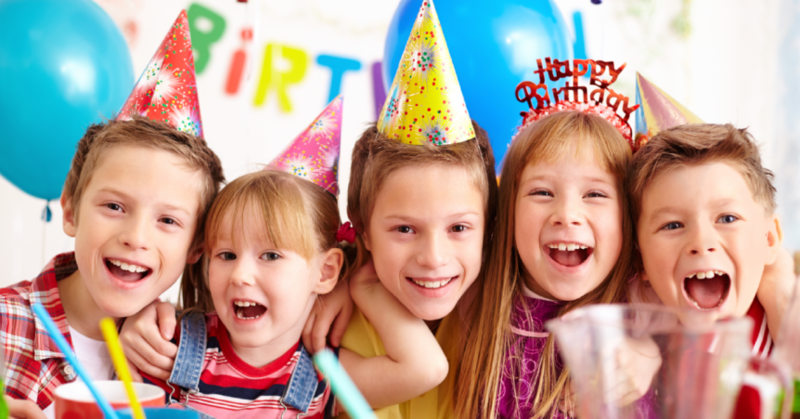 Facebook Prize: Bronze Birthday Party Package ($227 value) including 1200 sq. ft. building for a full hour, tables & chairs, fridge & microwave, stress-free clean up, 8 bags of birdseed, 8 child admissions, and 8 adults admissions. Party Location(s): 1705 Marine Drive in North Vancouver + mobile! 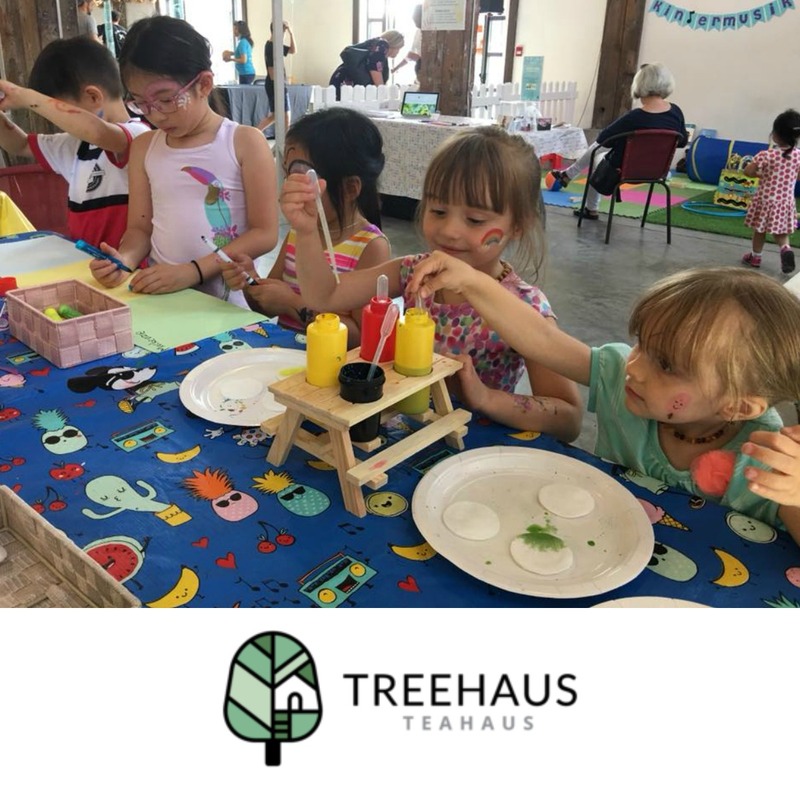 Why They’re Awesome: Opening very soon, Treehaus Teahaus is a play cafe that includes an interactive play area & learning space for young children and their parents! The play space offers infants & crawlers areas, a stimulating & interactive pretend-play corner, sensorial space & manipulatives for older kids, and a library. The cafe features natural & organic teas, italian artisan coffee, kid-friendly snacks, fresh & healthy juices, private nursing space, & baby-changing stations. And their multipurpose space will be used for Kindermusik music & movement classes, arts & crafts classes, parent-focused workshops & special events (including birthday parties!). What’s Included: Until their physical location opens, families can take advantage of their mobile party packages that include a 30-minute Kindermusik class, arts & crafts, a Kindermusik birthday gift, and customizable themes! Optional add-ons include face painting, decor & photography. Pricing: Starts at $60 for 10 kids. Looking for more party ideas? Check our previous guide HERE . The BrainSTEM learning party would be so awesome!! What a unique idea! Treehaus Teahaus looks awesome for a kids birthday party! And there’s something for us parents too! What an amazing giveaway. My soon to be 5 year old would love the bricks 4 kidz, he loves lego and spends endless hours creating. We’d do Climb Base 5! Maplewood farm would be so much fun, i know my son would love the animals and 6pack indoor beach party would be a lot of fun for a January birthday! This is a hard choice because the bricks for kids is definitely up my oldest sons alley right now but he also LOVES climbing! If I had to choose right now I would choose the climb base because it’s a longer period of time and we recently went rock wall climbing and my oldest son just loved it! This would be a wicked birthday party! Definitely climb base5 all the way! My Son turns 9 December 23rd, this would be absolutely amazing. Thank you for this chance to enter. Climb Base5 is what we’d do! Many awesome ideas! I’d love to do a party at Maplewood farm or Treehaus Treehaus (once their physical location is ready). Looking to plan a party for February 2019! These all look amazing ! I think my little guy would choose between climb base 5 and Maplewood farms ! So many wonderful ideas. My daughters birthday is in the winter so 6 pack indoor beach was perfect for a previous birthday. Next we’d love to try a Climb Base 5 party! Would love either Treehaus Treehaus or Maplewood farm! An indoor beach party or treehaus teahaus would be great!!! What great Ideas! We are just getting ready to plan my daughters birthday! I think she would be tickled to do a cupcake birthday party with Clever cupcakes! Yummy and indulges in her love of baking! That’s a hard one! Bricks4kids would probably be a huge hit with my soon to be 7 year old. My son’s 10th birthday is in December and it’s always a challenge to find a fun indoor party! I think Lights up Musical Theatre would be awesome! This sounds like so much fun! All of these places look like they would be an awesome place to have a birthday party but I think my girls would love to have a cupcake party at Clever Cupcakes!! Maplewood Farm is a favourite in our house! I would definitely choose Bricks for Kids. My son LOVES Lego and has done the progran through his school and loved it! My son would be absolutely thrilled with the brainstem learning birthday party experience. He will be turning 7 in a few short months so this would be awesome for us! So many great parties. Each of my kids would like a different party. My daughter has the next birthday and she would like the brainstorm learning! I have an 11th and a 10th Birthday coming up. They both have so much energy to share that 6pack beach would be amazing. Just an Incredible gift for either. My son would love the Indoor beach party for his first birthday! Since it’s in January we could bring the sand to him! A Bricksforkids party would be awesome. So many great choices but my daughter said she would love 6 pack indoor beach party if I won. My daughter would love the tea house or Maplewood Farm. My kids would love the musical theatre party. They love singing and dressing up. My kiddos birthday is in Feb…always dicey for planning a party due to weather and limitations on places he would love to go. This list is SO helpful! My daughter would love the cupcake one, maple wood farms or the treehaus teahaus! My kids would love Maplewood farm! If I won, my daughter will love the lights up musical theatre party! My daughter would love bricks 4 kidz or Maplewood Farm. I think my daughter would love the beach place for her birthday. Or the cupcakes! My boys would love the indoor beach, lego, Maplewood farms and the Teahaus mobile art party!! These are some fabulous ideas, especially for my youngest who’s birthday is in December and it’s hard to find affordable, new and fun activities for his party. With my daughters 2nd birthday coming up we would either love to do the clever cupcakes or the treehaus teahaus. Both would be amazing for an indoor party. I’d love the 6 Pack Beach Vancouver indoor birthday party! I would love to win the Maplewood Farm birthday party for my daughter! We actually went there for the first time last month and absolutely loved it!! Such a great place for a birthday party! My son would love the Brainstem learning! My daughter would love the musical party her bday is in Jan she loves to sing and dance . My son says 6pack Indoor Beach! My daughter would love 6 pack indoor! Bricks 4 kids would be fun! We’d do the Treehaus Teahaus! I would love to choose Maplewood Farm. My kid is four now and I found out she loves to watch animals as a real. This is a Wonderful event! Maple wood farms is so great. This would be an awesome place for a party. What great birthday parties ideas! I think my son would love to have a Brainstem learning party! So many options I’ve never heard about; good to know! Forgot to say that I would probably choose the brainSTEM party as I love all the learning aspects involved. Great party ideas! Of these parties sound great- but the brainstem would be best for my older son and teahouse treehouse for my daughter. The Musical Theatre party would be fantastic for my January-born daughter who just wants to be on a stage! Wow, so many great options! My son would love a Bricks 4 Kidz birthday party, so fun! My son would love the Brain Stem party! What an awesome giveaway! My son would be thrilled to have the LEGO themed birthday party by Bricks 4Kidz. And I’d be happy that for once I’m not the one building the LEGO with him! My son would love the Bricks for kids party! We are lego fan so brickz4kids party would be awesome!! Amazing!! Love the looks of the STEM and the musical theatre parties! So great! We would love Maplewood Farm! What a cute idea! It would be so hard to choose between all these great party ideas. Each one of my four kids would pick something different. So many good options that it’s hard to pick, but I would go with MapleWood Farms because who doesn’t love a petting zoo? My kids would love a Climb Base 5 party! Hard to choose but probably BrainSTEM Learning. Sounds like so much fun! 6pack indoor beach looks like an awesome birthday party option! 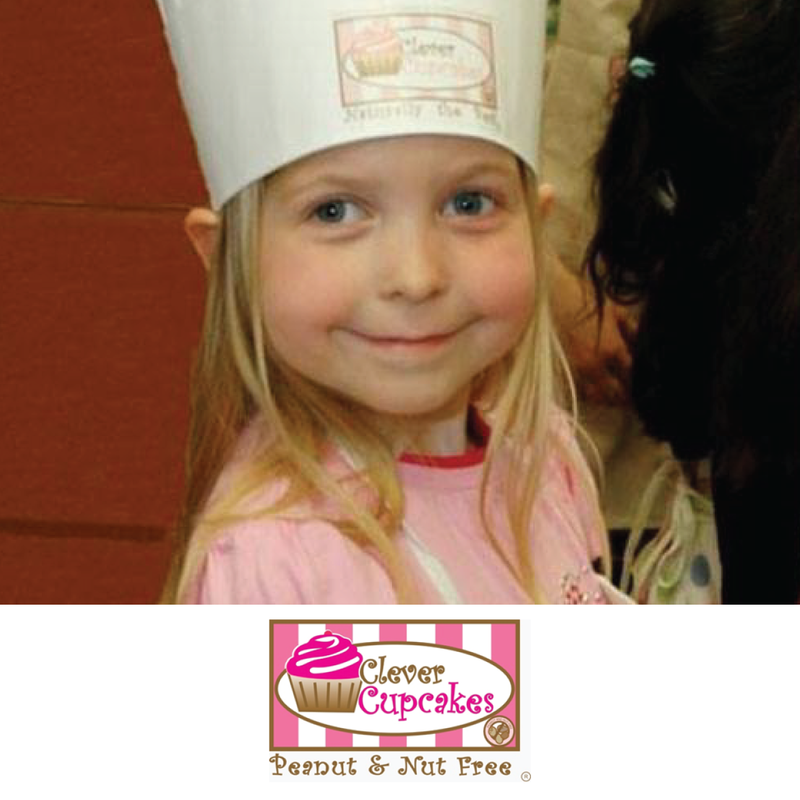 My 6 year old daughter would love to celebrate her upcoming birthday at Clever Cupcakes. She loves to help our in the kitchen, and since we eat a plant based diet, the fact that she could make vegan cupcakes is amazing!! These all look like fantastic birthday party options, though. Good luck to everyone! Love to win a Climb base 5 birthday party for the boy who love to climb!! Awesome contest and thanks a million for the totally awesome contest and prize Healthy Family Expo!! DD would love a birthday party at ClimbBase5! Clever Cupcakes would be such a cute experience for my daughter turning 3 in March! I would love the 6 pack indoor beach party for 12 kids for my daughter Charlotte because we were unable to do her birthday party earlier this year due to personal circumstances. She’s such a beautiful, kind, considerate human being, everyone in her school will tell you this if you asked. She was very understanding about why I could’t afford to do a birthday party for her too in May. I told her that we’ll do her party before the year is over and she said okay mommy, I understand, don’t worry about it okay. We will manifest a party and when I saw this opportunity I thought wow, this would be perfect because it would be like she didn’t miss her party because its an indoor beach. So here I am helping her manifest her birthday party. Charlotte is kind, considerate, and a beautiful little being all around. She’s always helping other kids who struggle at school, and this year her teacher said, Charlotte is so wonderful, she helped another girl in class learn how to do something in gymnastics she was struggling with and when the child was finally able to do it, as she was practicing, Charlotte stood by her side cheering her on and encouraged her, and when she did it, Charlotte made sure that her friend felt credited and celebrated in the spotlight, and she didn’t take any of the credit. Last week another child had a major meltdown and was throwing things and making threats which resulted in a short lunch. I asked Charlotte why she didn’t eat her lunch at all, and she said mom because I am the only one in my school who meditates and pray, so I began meditating to hold space for everyone else and to help calm the child down. I know I can type multiple reasons why I would choose this. But I love Healthy Family Expo for giving us the opportunity. I’m grateful. Thank you. Fun! So many choices… DD6 would go crazy for a musical theatre party and DD8 would love the ClimbBase5 or BrainSTEM party!